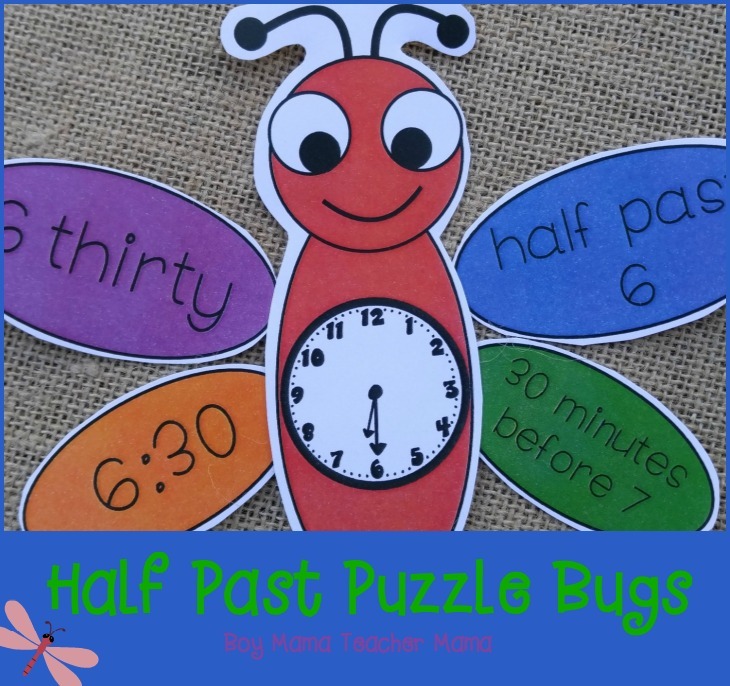 Recently, Boy Mama Teacher shared these Half Past Puzzle Bugs to help students practice telling time to the half hour. 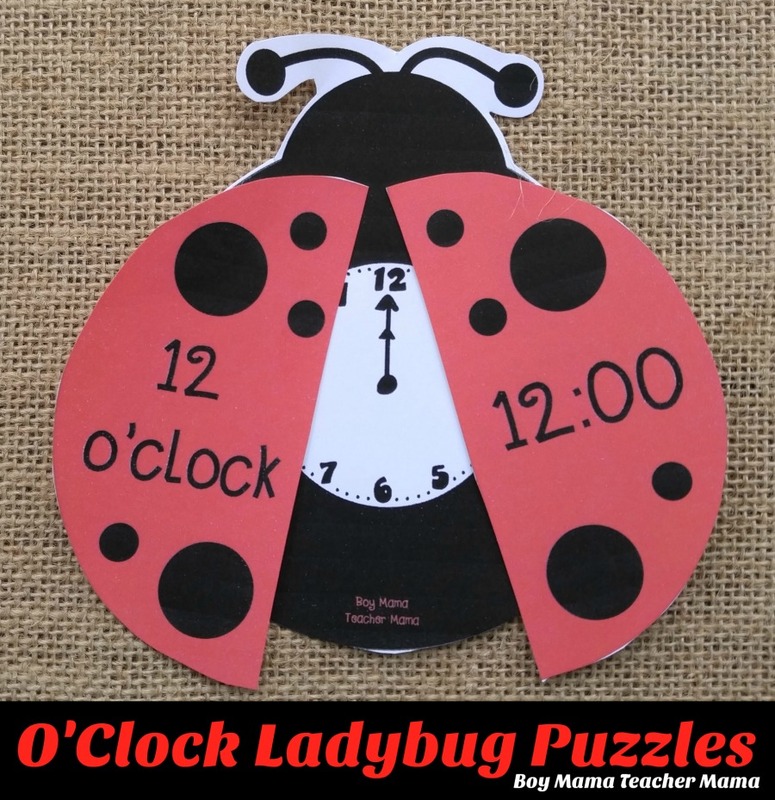 Keeping with the bug theme, I created these O’Clock Ladybug Puzzles to help students practice time to the hour. 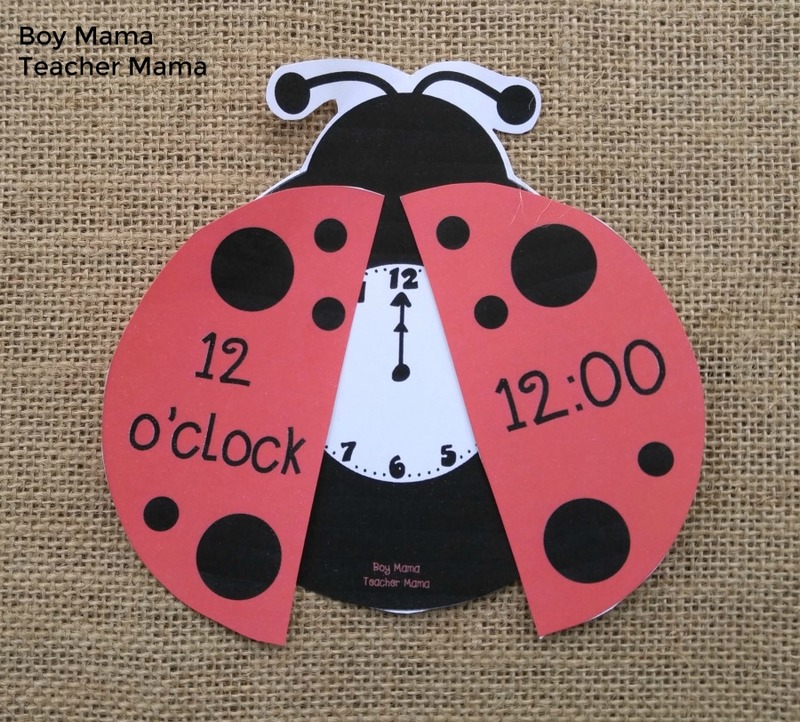 Print the templates and cut out the ladybugs and the wings. There are a few ways to play this game. 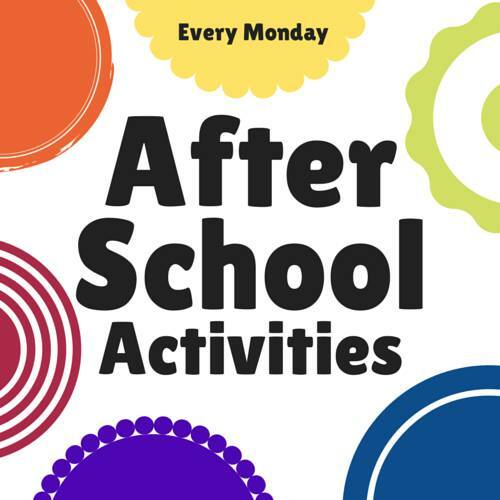 It can be played independently or with a group. 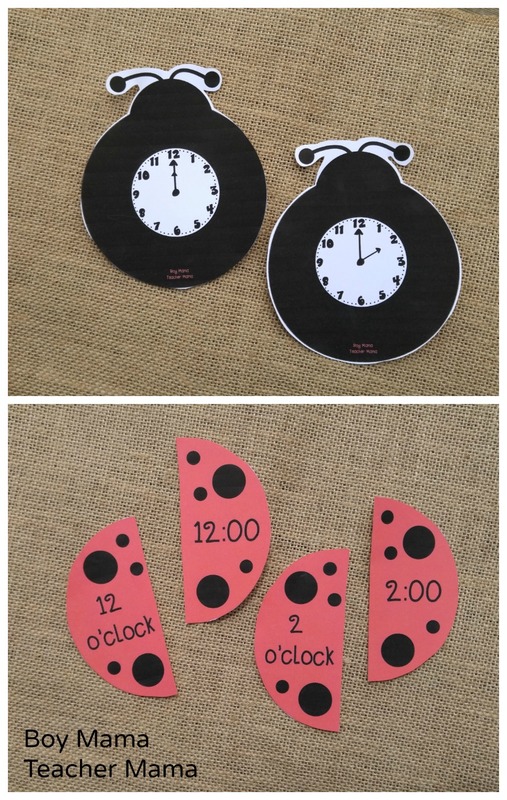 Give each player a ladybug body and have him read the time. Place the wings in the center of the table face down. Students take turns picking a wing and determining if it matches their lady bug body. If it does, the player adds it to their bug. If not, the wing goes back in the middle and the next player takes his turn. The game is over when all the ladybugs have been completed.